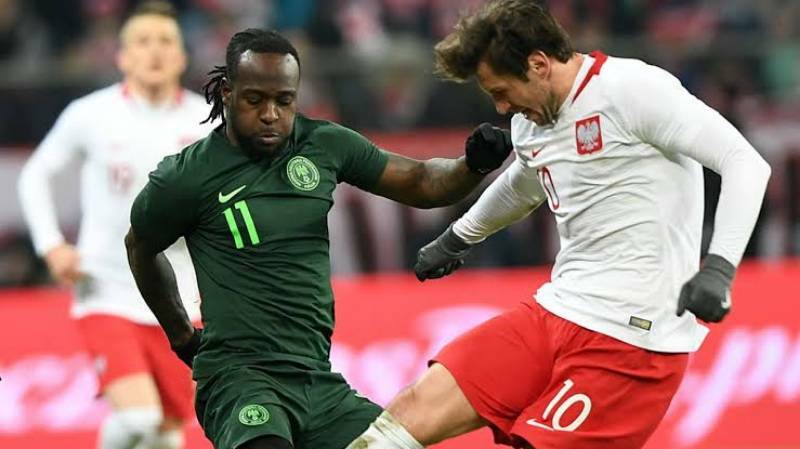 Super Eagles winger Victor Moses has spoken about the penalty awarded to him during the international friendly against Poland on Friday. The winning goal Vs Poland came as a result of Moses goal from the penalty spot in the 61st minute at Wrocław. Moses said referee, Michael Oliver made the right call even though television replays suggested that he took a tumble in the penalty area after minimal contact with VfB Stuttgart defender Marcin Kaminski. ”For sure it was a penalty when I was fouled, the referee made the right decision. It was a good win for us,” Victor Moses said at the mixed zone. ”Poland has many good players. They attacked especially well after conceding the goal, but we showed more character today. 0 Response to "We Showed More Character After Scoring Vs Poland- Victor Moses"